Around 103,000 Indian visitors spent their holidays in Ho Chi Minh City in 2018, an 81-percent year-on-year increase, the Consulate General of India in the southern metropolis said at a ceremony celebrating the 70th Republic Day of India on Saturday. With the healthy growing rate, India continued to be among the top 15 markets having the largest number of tourists to Ho Chi Minh City. According to travel companies, around 22 million Indian people make overseas holidays every year and the figure is likely to spike in the upcoming years, given India’s fast-growing economy, which grew 7.3 percent in 2018, and an increased income among its people. India’s Ministry of Tourism forecasts that there will be about 50 million Indian tourists to other countries by 2020. Indian tourists are also the generous spenders worldwide, second only to Chinese holidaymakers. Statistics showed that Indian tourists spent more than US$13 billion a year, with their budgets for overseas holidays getting bigger. 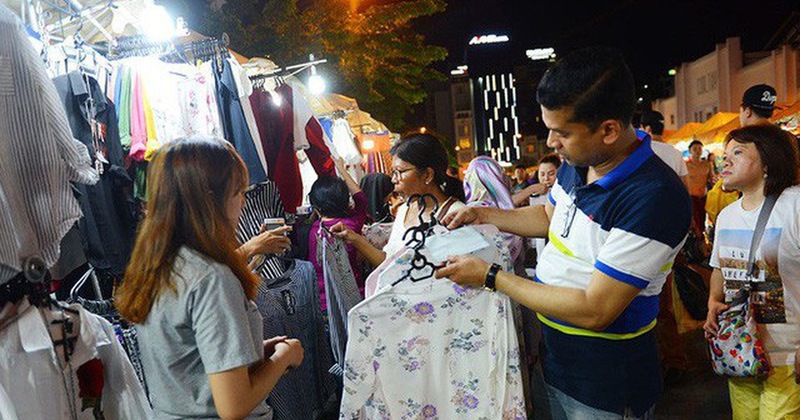 According to the Ho Chi Minh City Department of Tourism, Indian visitors appear to enjoy the culture and shopping activities in the city, with fabrics and handiwork being the top favorite items by Indian holidaymakers. However, they are also picky when it comes to cuisine due to their cultural specificity. Therefore, the municipal tourism department is paying more attention to the development of Indian restaurants in Ho Chi Minh City to create more favorable conditions for visitors from the South Asian country. The rapid growth of Indian arrivals to Ho Chi Minh City also comes from the country’s foreign investment flows into Vietnam. Last year, Indian companies invested more than $880 million in the Southeast Asian country. “Ho Chi Minh City had a bilateral trade of $1.5 billion with India in 2018, an 11 percent year-on-year increase,” said Dr. K. Srikar Reddy, Consul General of India in Ho Chi Minh City.